We're living in a world where we can record our favorite TV shows to watch later or even pause live TV with the push of a button thanks to the DVR. With the proliferation of online audio streaming there was a need for a similar technology, one that allows users to pause the audio stream and play again at their convenience. Enter Intermission by Rogue Amoeba, an ambitious Mac utility that resides in the system's menu bar and monitors all streaming audio you happen to be listening to. If you own a MacBook Air or iMac, like I do, you may have noticed that the sound quality either system provides leaves a lot to be desired. There are ways to get better sound be it through external speakers, headphones, or tweaking the sound settings yourself. 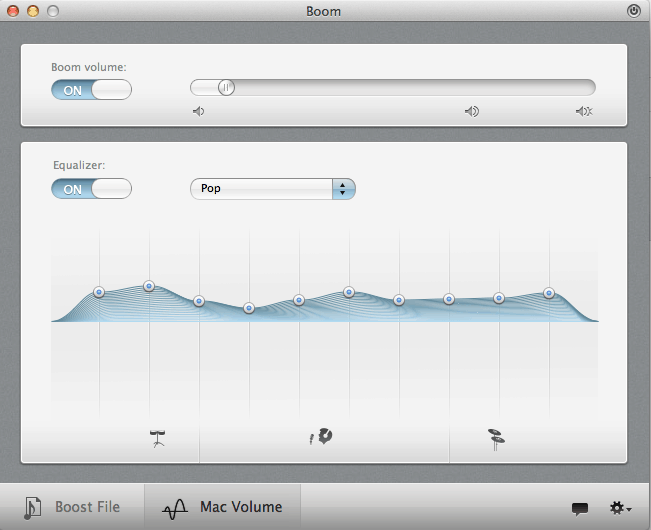 But an even easier way to get awesome sound is with a great app called Boom.